With fall just around the corner and the Johnny Appleseed Festival coming up at the end of September in downtown Crystal Lake, we decided to do a deep dive into how apples can affect your oral health. Believe it or not, each of the foods you eat and the beverages you drink has an impact on your teeth. Think about it, what is the first point of contact when you start to eat or drink something? Your teeth, gums, and tongue. Apples, while nutritious and delicious, do have some negative qualities that are important to keep in mind when it comes to oral health. For instance, apples are very sugary. While this is natural sugar, it can still affect your tooth enamel. Many people consider apples to be a “smile-friendly” food because they can help improve your oral health. How? Well, the actual action of chewing an apple can cleanse and clean teeth. Apples are also very fibrous — especially the skin — so they can actually act as a “natural toothbrush” by scrubbing plaque off teeth and removing food debris. Apples can also help prevent certain bacterias from forming because they help in the production of saliva. Can Apples Cause Tooth Decay? While there have been some studies that suggest that apples may actually cause tooth decay, they are only partially correct. On one hand, the acidic nature of an apple can help kill off bad bacteria that can cause bad breath. On the other, apples are a natural source of sugar, which can affect tooth enamel. So the key really is moderation. If you eat 100 apples a day, there is higher a chance that the natural sugars would cause tooth decay. 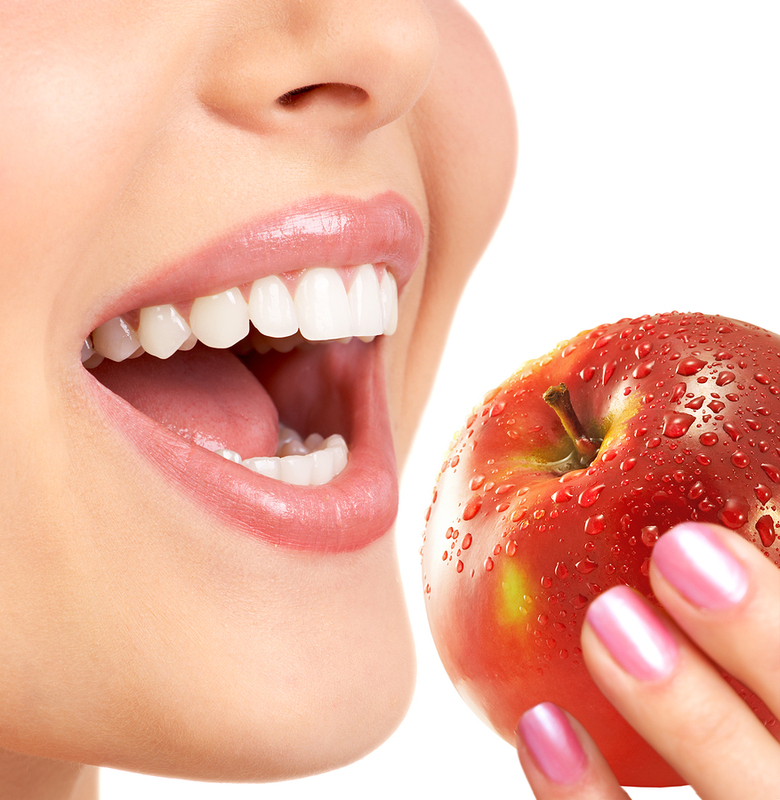 But if you moderate your intake, apples can be very beneficial towards improving your overall oral health. Eat the entire apple in one sitting: If you eat an apple throughout the day, it could mean your teeth are exposed to more acid on sugar than necessary. Add in other foods: Pair your apple (or any fruit) with a fat like cream or cheese to neutralize the acids. Rinse after eating: Swish some water around your mouth to remove any lingering acid or sugar. Don’t brush immediately: Be sure to wait about half an hour before brushing so you don’t accidentally remove any enamel. If you have any questions or if you would like to schedule an appointment at Mcnerney & Wenzon Dental in Crystal Lake, IL, please call (815) 459-8127. You can also click here to schedule an appointment online!